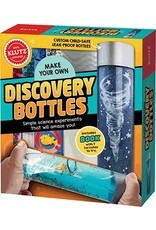 MYO Discovery Bottles - Grow Children's Boutique Ltd. Explore sensory play with these easy at-home water-based bottle experiments! 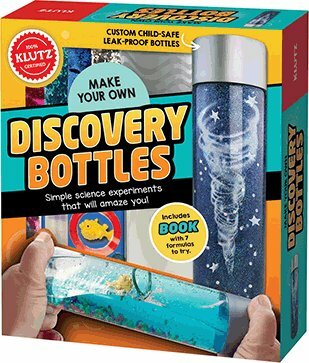 Watch your kid's cares melt away as they're mesmerized by swirling glitter or challenge themselves to tilt a fish through a hoop in the 2 provided leak-proof bottles. ity kit. The fun doesn’t stop there! The included crystal-clear instructions include 4 additional experiments using common household ingredients.